We were sitting in her parked truck, next to the old house where her grandfather was raised, cattle to our left and behind us. “Just call the cattle ‘Hoover’,” Landi Livingston said matter-of-factly. “My parents were very good in that they never put pressure on me, they never made me feel like it was an expectation to come back to the farm,” Landi says. It was one of the first times I went with an angle. Writers, we all have our own [arguably odd] methods of gathering material for stories. This one, what I had coined “the Landi McFarland piece,” was different than most of mine. 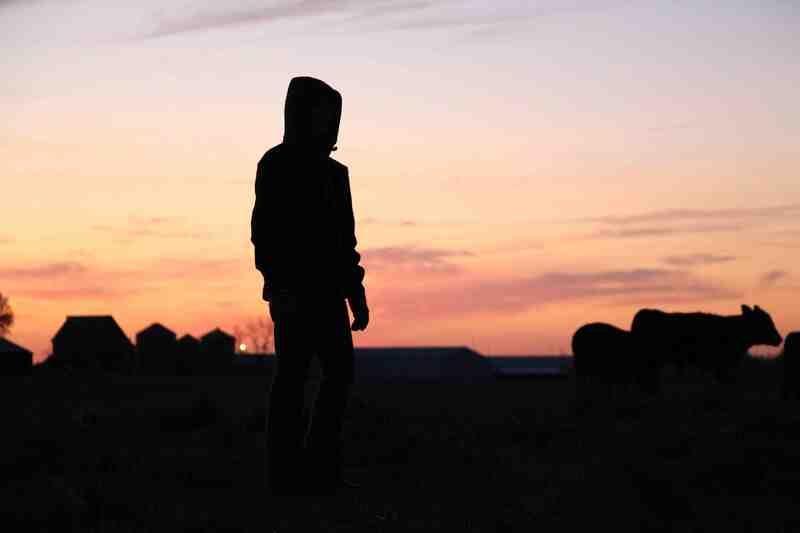 I knew what I wanted to write about, how I would tell you about it well before I set foot on the farm. Bloodlines run deep through the female side of the Hoover line. No heifer has stepped hoof on the Ellston farm in more than 15 years unless she took her first steps on its fertile soil. Hoover. The naming can get a bit tricky – the reason was why I was there in the first place. 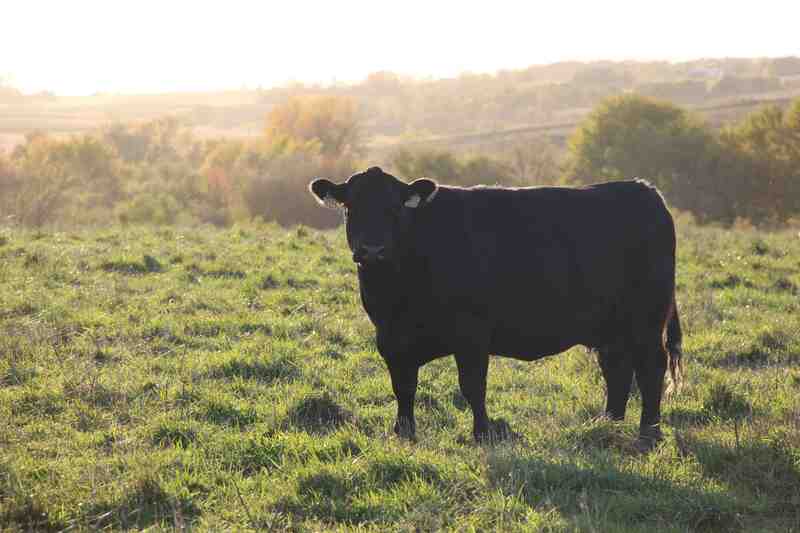 The Hoover herd, an Angus seedstock operation near Ellston, Iowa, is known through that part of the country for traits like disposition and growth. A lesser known fact, perhaps, are the leading ladies who have kept it intact. “The farm’s come down through the firstborn daughter,” Landi says of the herd her great-grandfather Walt Hoover started in 1928. From there, his daughter Barb, her daughter Joy and her daughter Landi made up the three generations that followed. I met four generations that day: John, Landi’s grandfather (pictured), who is in his 90s, still runs the feed truck each morning. Landi’s daughter Gwen, who, by then had joined us for the morning’s conversation, could be the fourth gal to take over – but her name won’t change for a good, long while. She’s barely one. 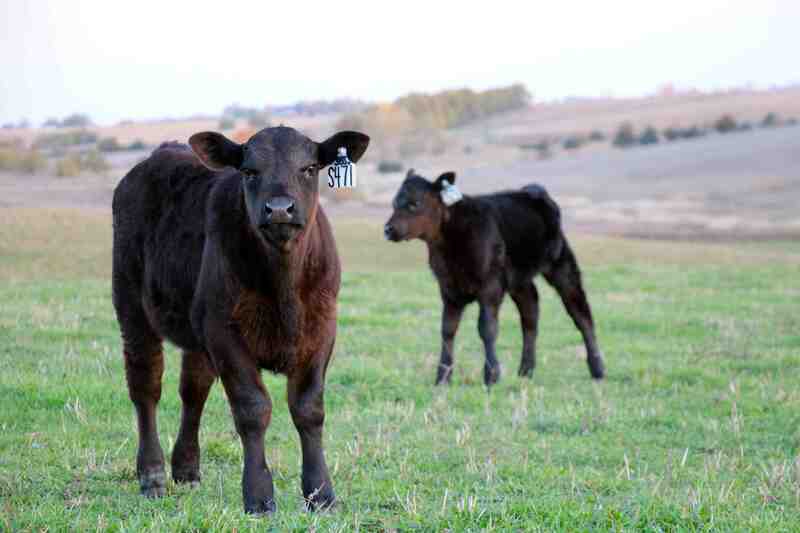 More than that, Angus pairs are bred and cared for with customers in mind. Genetics from the Hoover herd help pay their bills, too. 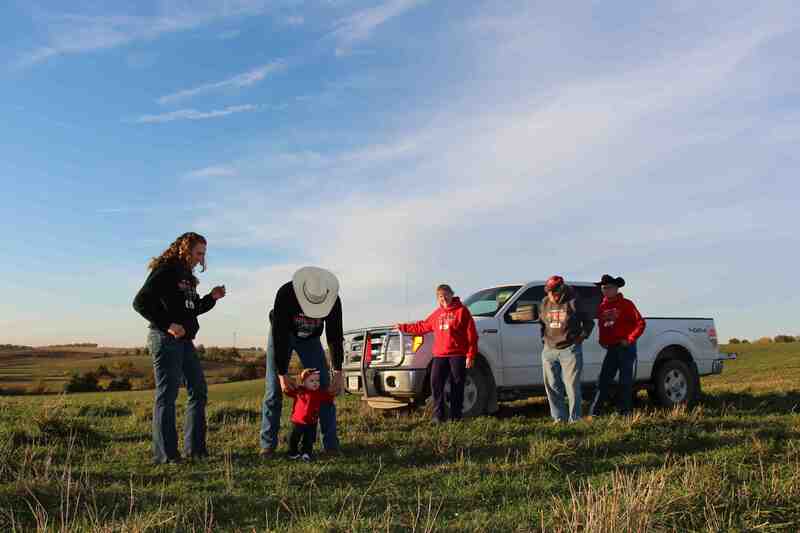 In Ellston and surrounding areas, it’s more common to show cattle than raise them for production purposes. The Hoover cows exist only for the latter. 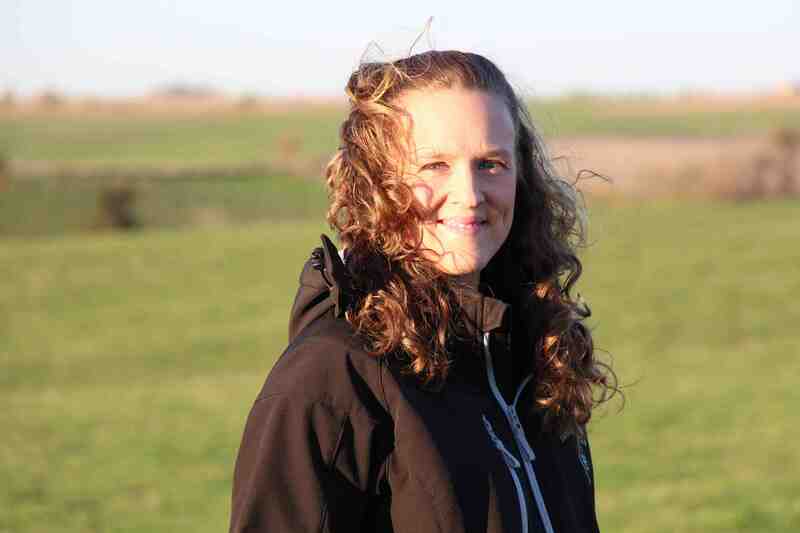 “Even though most of our customers aren’t feeding their calves or selling them on a grid, everything comes down to those cattle feeding someone,” Landi says. That’s why, in addition to stacking traits at the front end, she places emphasis on carcass traits as well. As an Angus genetic supplier, it’s simply expected that the program include a focus on premium beef targets like the CAB brand. People want quality and she helps ensure it by studying and selecting the right EPDs. A morning can’t start early enough for the farmer’s daughter. With one little one and another on the way, often before sunrise, she’s out with the cattle – studying them, acknowledging that they live and carry out what she dreams up on paper. “Hey girl,” she says to her favorite 2-year-old this year, stepping close enough for the heifer to sniff her hand through a glove. “We’re expecting a lot of good things from this one,” Landi says. That’s true of the herd. True of the owner. PS – To read more about Landi and Hoover Angus, check out the April issue of the Angus Journal.